Scholarship Applications for 2019 are now open! The application deadline is June 17, 2019. Each year AAUW Lock Haven holds a used book sale that raises funds to support college scholarships for women in Clinton County. Both undergraduate and graduate scholarships are available to women who are Clinton County residents either (A) at the time of submitting their applications, or (B) if currently a student, immediately before the start of the current degree program. 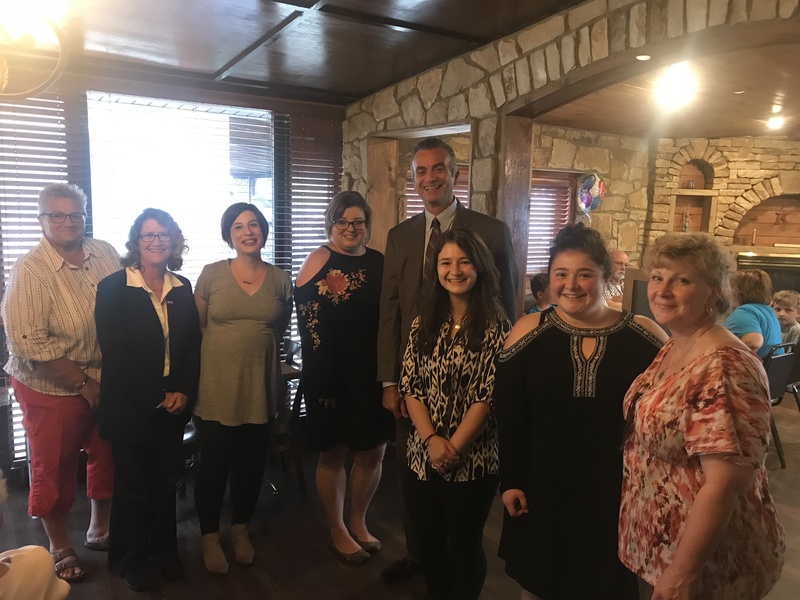 The graduate scholarship is named in honor of the late Marilyn Gardner, a past President of the Lock Haven AAUW Branch, and past member of the AAUW Pennsylvania Division Executive Board. An applicant for a graduate scholarship must have been accepted at an accredited college or university in a graduate degree program, and must meet the above residency requirement. With 2018 scholarship winners, Danielle Sander and Ellora Figured, and LHU’s President, Robert Pignatello. 2016 AAUW Lock Haven scholarship winners. 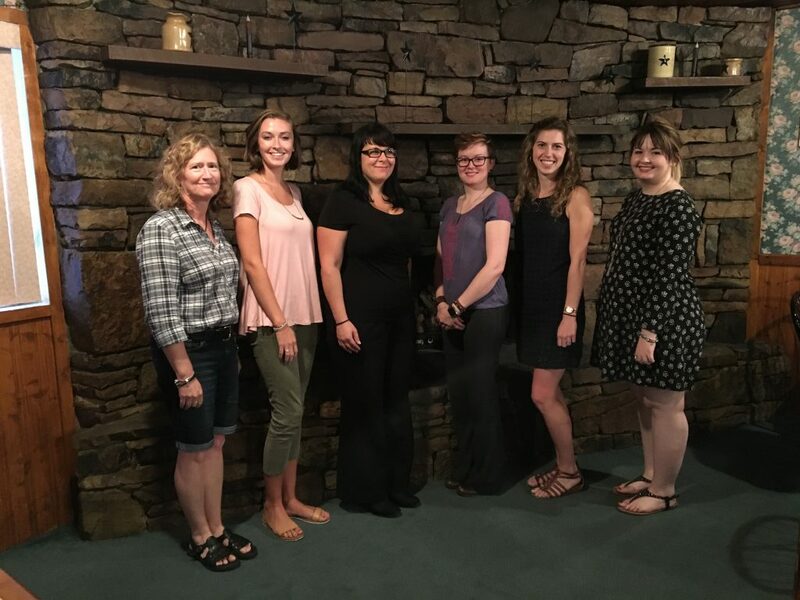 From left to right are Educational Foundation co-chair, Dr. Julie Story, Rebecca Eaton, Jennifer Lange, Lana Kephart, Stephanie Walizer, and Brenna Tripp.